The Geneva Motor Show has a long and rich tradition when it comes to launching supercars. In years gone by, the Jaguar E-Type, Ford GT40 and Ferrari GTO have all made their respective debuts here, but what does the class of 2015 hold? Click through our gallery to discover our 10 favourite Geneva sports cars. Inspired by the iconic GT40s that dominated the Le Mans 24 Hours in the 1960s, the all-new GT heralds a new era of fast Fords with a 600PS engine coupled to a lightweight aluminium and carbonfibre chassis. 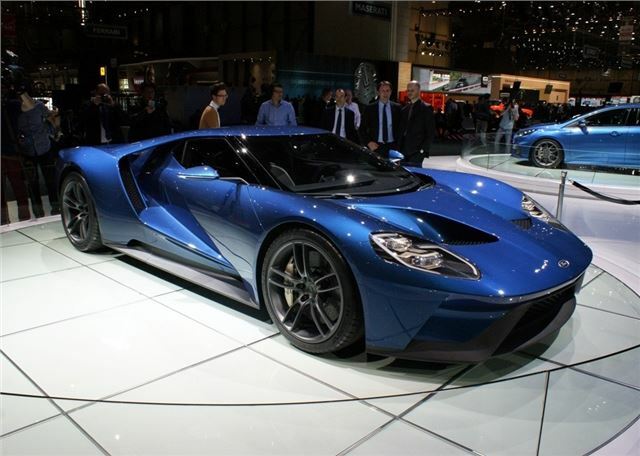 Powered by a twin-turbocharged EcoBoost V6, the GT utilises a rear-wheel drive powertrain, while its mid-mounted 3.5-litre engine is paired to a seven-speed dual clutch gearbox. Due in 2016, the 200mph GT will mark the 50th anniversary of the original GT40 scoring a 1-2-3 at the 1966 24 Hours of Le Mans.